Disneyland is about to get even more crowded this summer! Disneyland has announced yet another promotion for the busy summer season. To go along with Pixar Fest, annual passholders will be able to bring a friend for a 40 percent discount off a Park Hopper ticket. Disney has also unblocked select dates in June for annual passes, including the lowest tiers. Starting on June 11 through September 3, annual passholders can bring a friend to Disneyland and Disney California Adventure and save up to 40 percent off an adult 1-Day Park Hopper ticket. Tickets are valid only on the day of purchase and only on days that the annual pass is valid. Passholders may purchase up to two tickets per pass per day and must accompany the guests into the parks. The new promotion isn’t as good as Six Flags‘ ‘Bring a Friend Free’ Days for its season passholders, but will certainly draw bigger crowds in June and August, especially with the opening of Pixar Pier at DCA on June 23. The unblocking of select dates comes on the heels of Disneyland placing more limits (and blockout dates) on annual passholders next year, as the park gets ready for the opening of a new Star Wars land next summer. So, while annual passholders can enjoy more days to visit the parks this month, June 2019 will be different — with more blockout dates and the lower-tier passes limited to DCA-only admission during the summer. 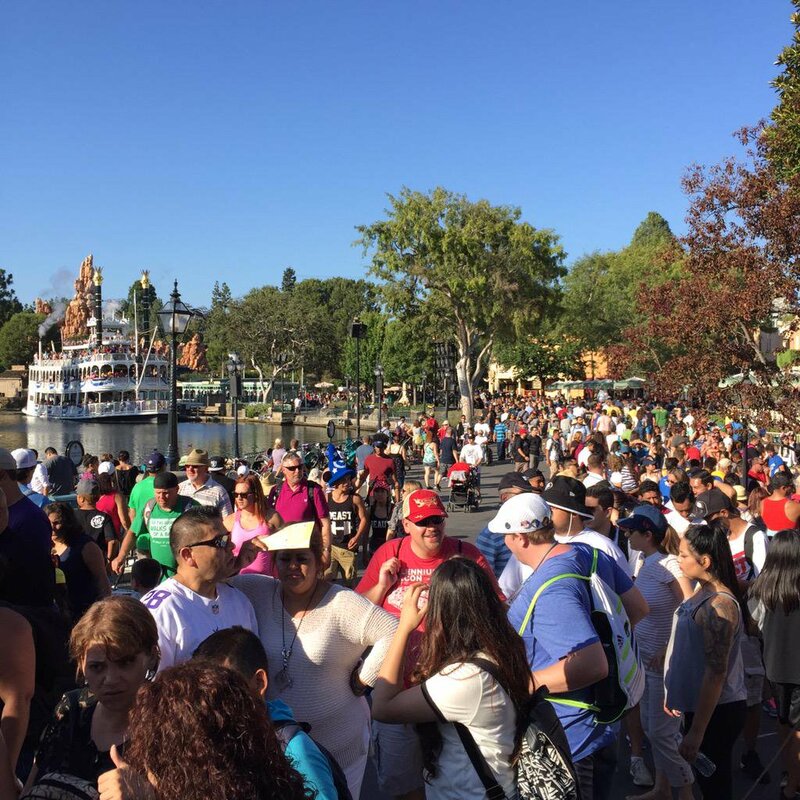 So, how will this new promotion affect the crowds at Disneyland this summer? Simply put, some days are about to get more crowded. Keep in mind that Pixar Fest is already going on right now, so a 40-percent discount on tickets and fewer blockout dates is expected to attract even more crowds this summer. We expect the new unblocked June dates for SoCal Select and SoCal annual passes to be most affected by the ‘Bring a Friend’ promotion. Those tiers are the most popular, and all local schools are out of session for the summer starting next week. 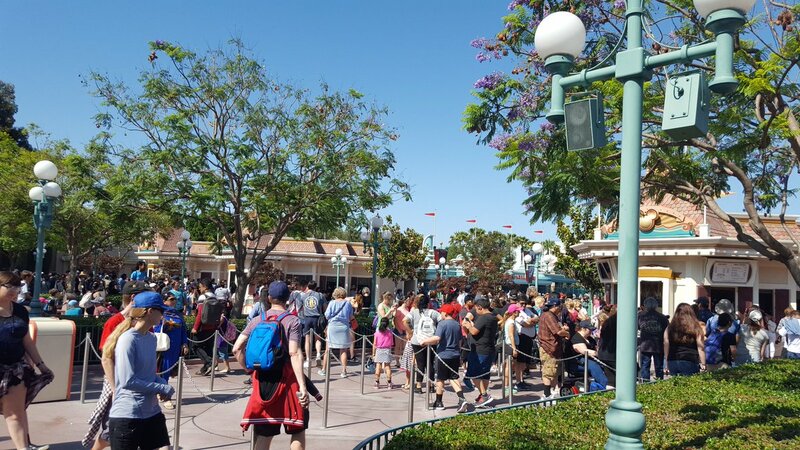 It’s unprecedented for so many annual passholders (and their friends) to have valid admission to the parks after the first week of June, so it is possible that Disneyland may run into capacity issues. We also expect bigger crowds at the end of August, when all passes will be valid again after the summer season blockout. Be sure to check the Disneyland Crowd Calendar for the best and worst dates to go. What do you think about ‘Bring a Friend’ Days at Disneyland? Will you be taking advantage of the promotion this summer? Be sure to let us know in the comments below! It honestly feels like there are too many promotions going on. It’s like they are just trying to boost attendance numbers. It’s already so crowded! It will just be more crowded! We went on Monday and it was crowded, but it didn’t seem too crazy. It’ll be interesting to see what it’s like in late August, I’m sure a lot of families use the bring a friend offer before school starts. I feel bad for the people who already bought tickets and booked their hotels on those days that the SoCal passes were blocked only for Disney to unblock them and offer a huge discount. I hope the crowds aren’t ridiculous. How many Bring a Friend tickets can you buy? You can buy two tickets per pass per day. Going to buy a Bring a Friend ticket for tomorrow. How crowded do you think it will be? It’s been crowded these last two days. Everything is around 60min waits. I think they did this because they realized it wasn’t going to be too crowded before Pixar Pier opens, so they made this offer and unblocked the passes to fill up the parks before then. Only Deluxe passes and above can use this promotion in July. I can see A LOT of SoCal Select passholders taking advantage of this promotion in August before school starts.